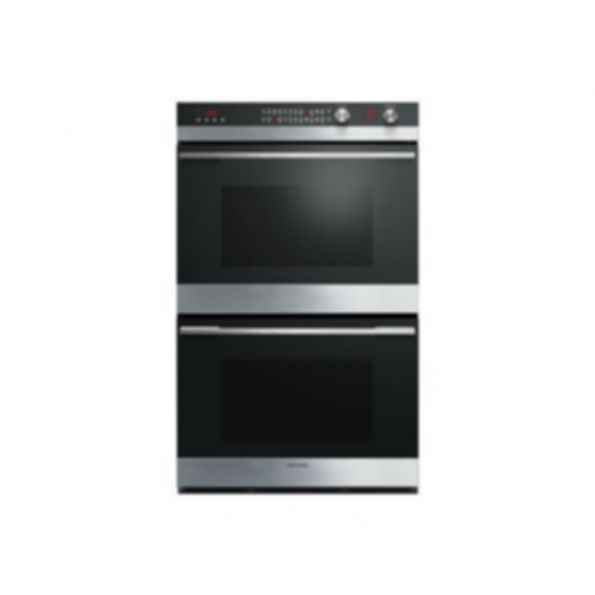 Fisher & Paykel large capacity ovens are visually impressive at 76cm wide, deliver outstanding performance. Eleven oven functions including self-clean and AeroTech cooking system make it the ultimate in cooking technology and convenience. Combine all this with its clean lines, stylish machined metals and electronic illumination, and the 76cm Double Built-in Oven strikes the perfect balance between form and function.